Remaco PLT-412 is a ceiling projector lift. One can simply install it with an ease of yr mind. Weighing at only 20kg, it can withhold as much as 12kg. Comes with an additional universal bracket, now it is much more easier to install any model of projector fast and hassle free. 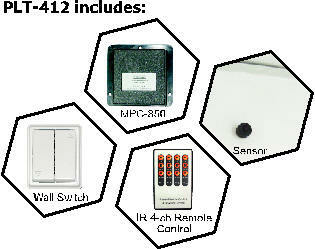 Built in with Power/Motor control to allow direct interface with third-party control system. (Example: AMX, Crestron etc..) It can also use to power On/Off LCD/PLP projector separately.